Similarly fine bags are usually much more expensive. And are also usually by Fontanelli. 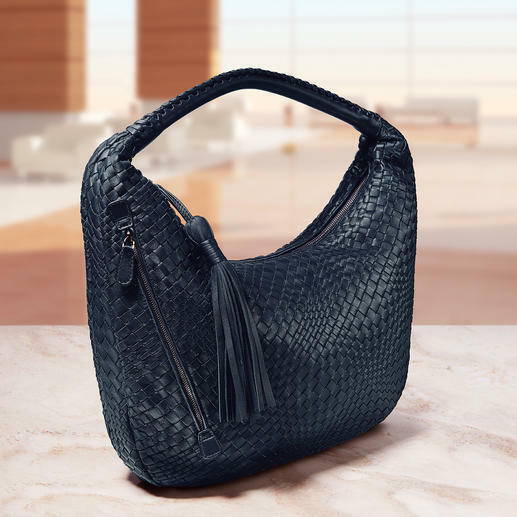 No matter how fashion changes: This bag goes with everything. 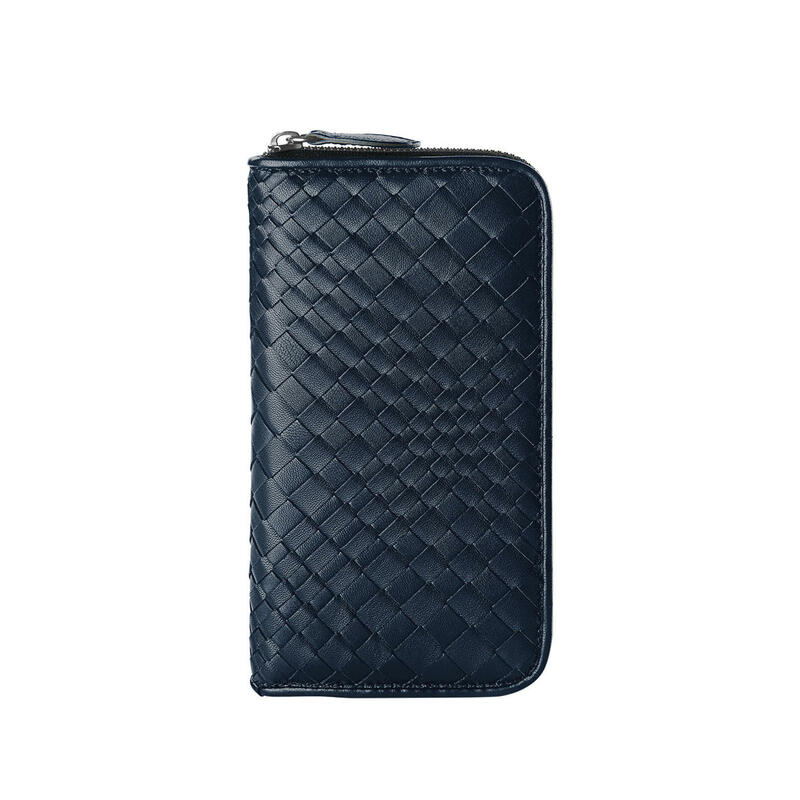 Perfect addition: The matching wallet. Hand woven and hand stitched. Made from butter-soft lamb nappa leather. By Fontanelli. 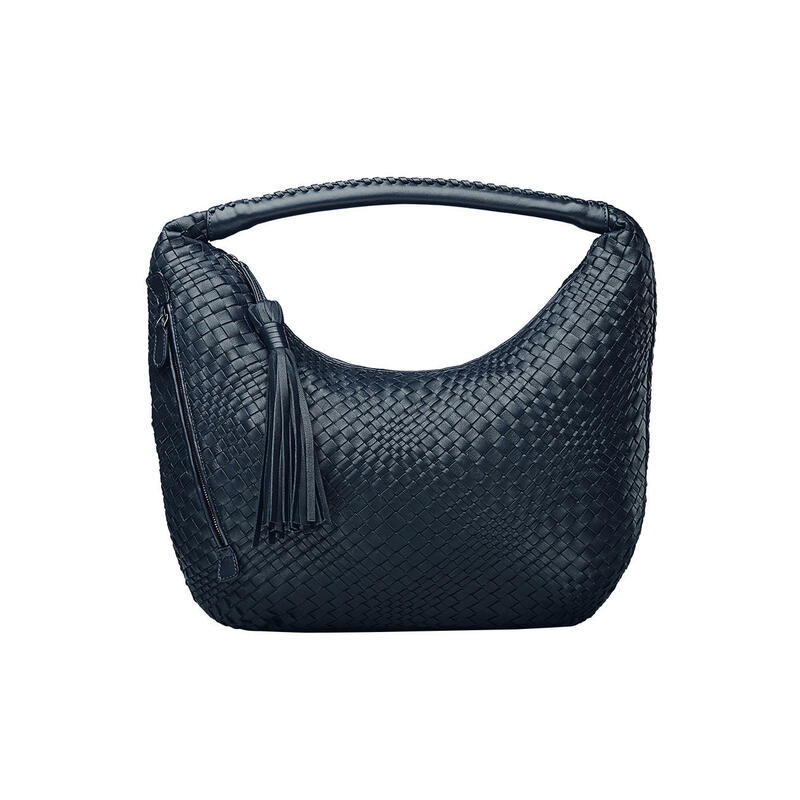 Tuscan bag-making craftsmanship since 1860. 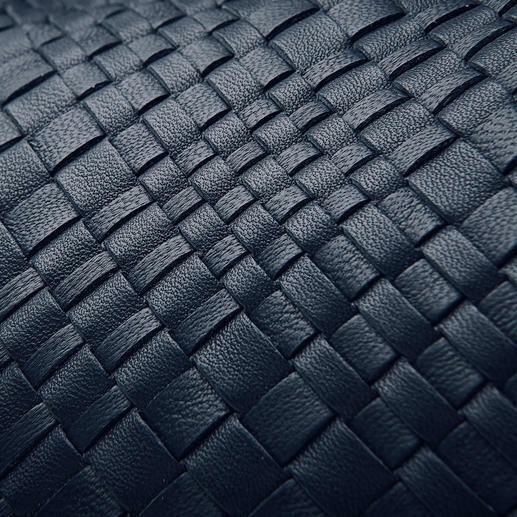 Over 130 delicate leather strips – individually cut by hand and woven into an striking three-dimensional pattern. Even the handles and the zip are sewn in by hand. 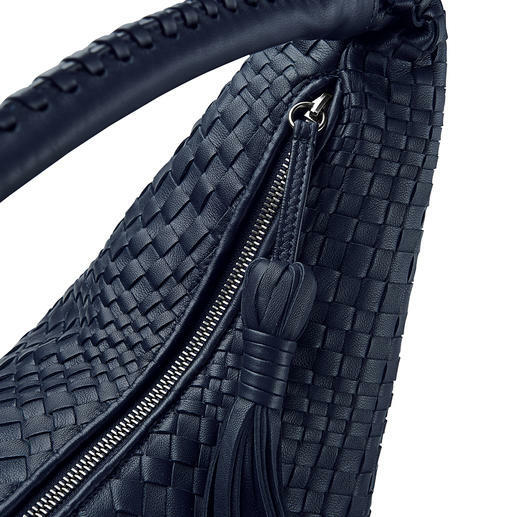 The decorative, handmade tassel is hung on the zip as its crowning glory. The roots of the traditional bag-making business go back to the year 1860. A few of the most noble labels in Italy outsource their manufacturing to the brothers Remigio and Corrade ­Fontanelli – and offer their bags at much higher prices. It accompanies you to the office, in the city, on trips ... The elegant handle is just the right length. This allows the bag to be carried in the crook of the arm but also under the shoulder. Especially practical: The zip pocket attached to the outside keeps keys or your cell phone safe. 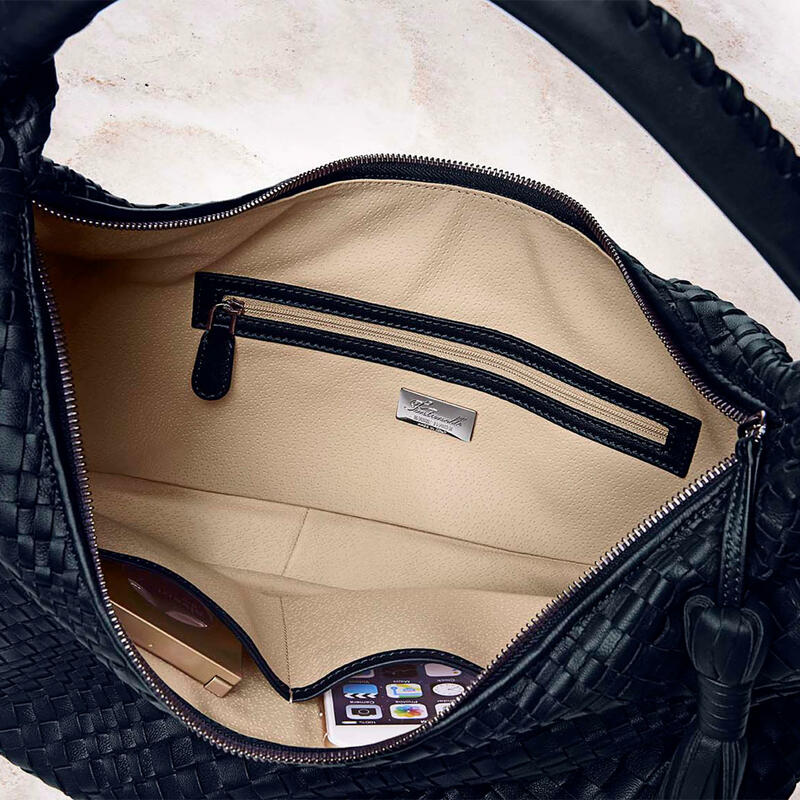 Inside, three separate compartments keep you organised: Two open slot pockets and a side pocket with zip. Due to the light beige lining, bag contents are easier to see. 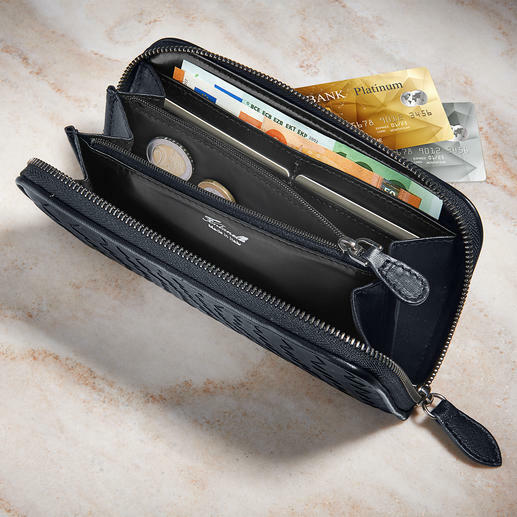 The same design and material as the bag, it offers eight slots for credit cards as well as enough space in five separate compartments (one of which has a zip). The bag measures 50 x 38.5 x 8cm (19.7″ x 14.9″ x 3.1″), the wallet measures 19.5 x 11 x 2.5cm (7.5″ x 4.3″ x 0.8″). Colour: Dark blue. 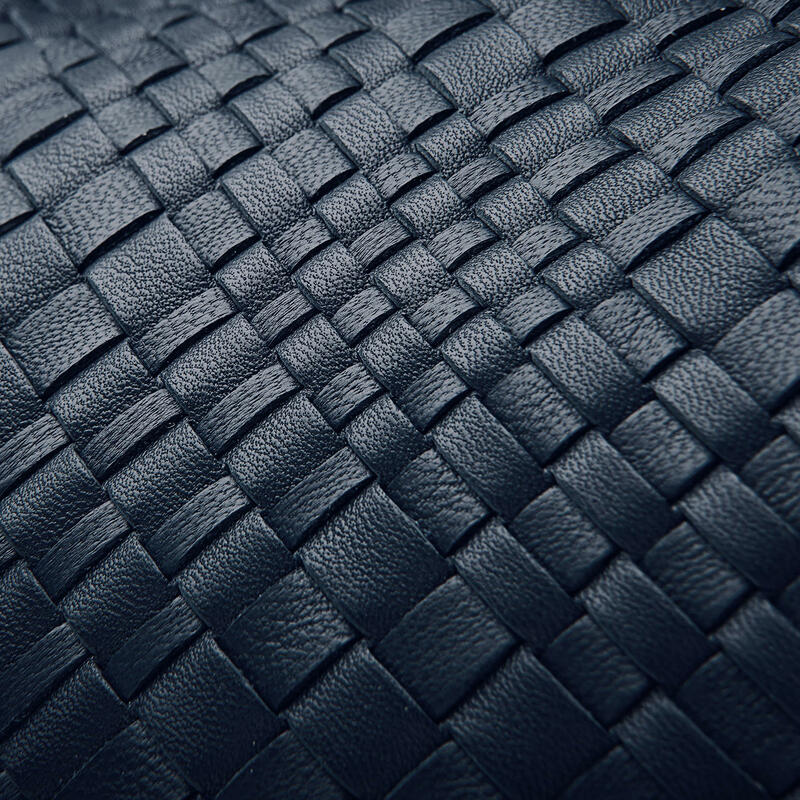 Real lamb nappa leather (surface washable). Bag lining 70% polyurethane, 30% viscose.